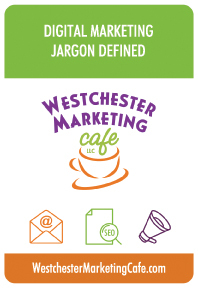 Our whitepaper, "Digital Marketing Jargon Defined", will help you understand the myriad of confusing terms bantered about by marketing experts. Marketing is about making your customers aware of your products or services and ensuring you are front of mind when they are ready to act. Digital tools enable you and your team to do this as effectively and efficiently as possible. Knowing the lexicon is critical to your success. Join our mailing list to get our free "Digital Marketing Jargon Defined" whitepaper, along with our monthly newsletter filled with useful information on how to making the most of your online marketing.